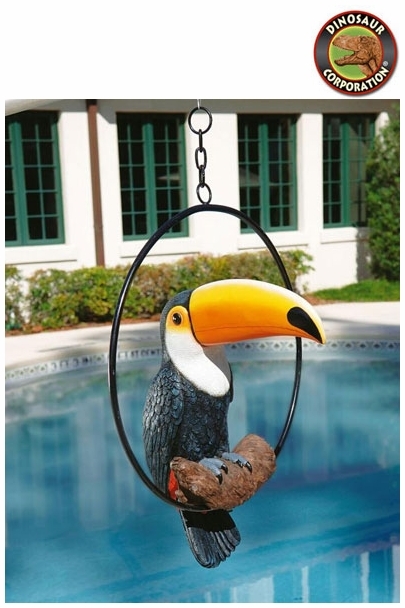 Tropical Toucan Sculpture on Ring Perch. When our colorful toucan statue comes to call, you're well on the way to your own vibrantly tropical paradise! Complete with metal ring and chain, our vivid work of decorative art is at home hung near pool, patio or sunroom. Our life-size designer resin exclusive is painstakingly hand-painted in the colors of the rainbow. * Size: 14" W x 10�" D x 18�" H.